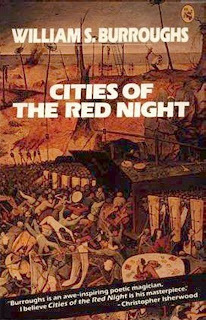 I have an interest in novels translated into English since many times a novel originating in Italian, for example, may provide more insight into current Italian culture than any other source will. 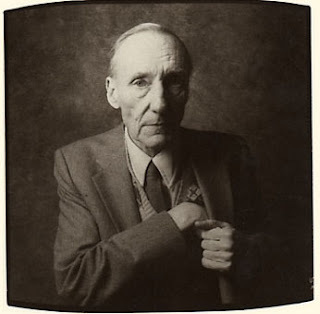 I buy a significant number of novels in translation and could actually claim to have a serious and growing collection of novels in first English translation. This is an accidental collection arising from my fundamental reading habits and not a collection I seriously try to expand, as a collection. 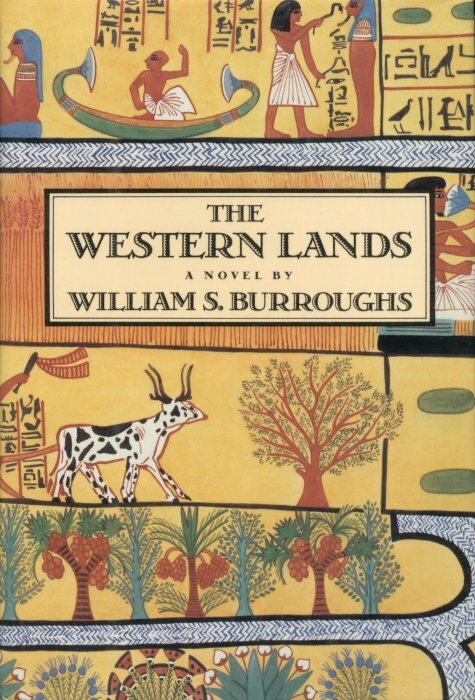 But since I do enjoy reading foreign novels in English translation it is a collection that grows and sometimes I try to strategize the collecting of such titles. One approach is to pay attention to what novels in English translation are being nominated for annual awards and prioritize buying and reading those books. 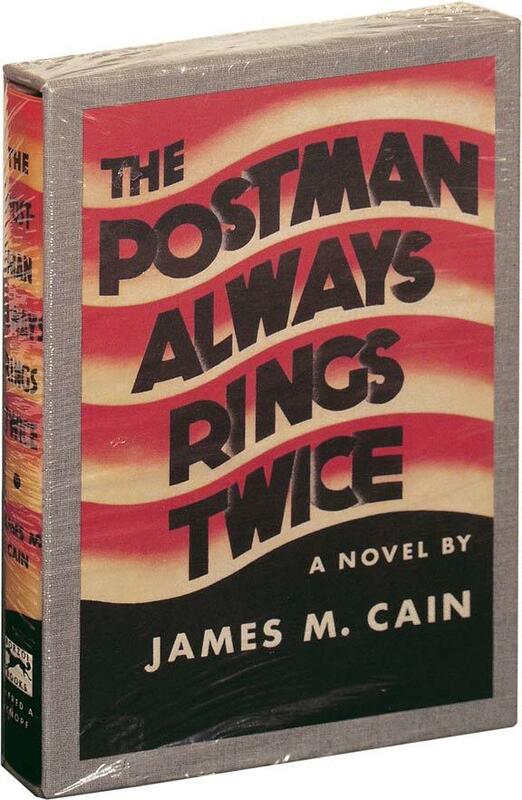 Such a strategy often results in reading wonderful novels that over time may become in demand collectible editions! Yesterday, while browsing the book section of The Christian Science Monitor, I came upon an article featuring the 10 novels announced as finalists for the 2011 Best Translated Book Awards sponsored by Three percent- a resource for international literature at the University of Rochester. I spent some serious time browsing through the Three percent web site and suggest that anyone interested in keeping abreast of the latest news concerning books in translation begin following that site. I am interested in reading 5 of the 10 finalists and it is easy to order a first edition, first printing. These are all being published in paperback format so care will be needed when reading and eventually storing them in my library. I wrote about the graphic novels of Lynd Ward in reference to the Library Of America release of his complete novels in two volumes previously and am preparing a collecting guide to Lynd Ward for a future posting. This week, the inaugural Lynd Ward Prize for Graphic Novel of The Year was announced and the winner is Duncan the Wonder Dog: Show One and an award of honor was given to Set To Sea. May the Lynd Ward Prize collecting frenzy begin! Duncan the Wonder Dog: Show One, by Adam Hines, 400 pages, ISBN 0977030490, AdHouse Books, Novemeber 9, 2010 is sold out everywhere, available as a digital book, open for viewing online until the second printing is available and is now an in demand, and pricey, collectible printed book. While you certainly may order a new copy of the print edition, expect to wait a few more weeks for the 2nd printing to be available. A few copies of the first printing are for sale with prices ranging from $188 to $225 plus shipping. The first printing will always be more rare and expensive than the planned second printing but since this book is 400 pages and technically expensive to produce the 2nd printing, over time, should hold value and even may increase in value years from now. If you are close to brick and mortar stores that have good stock of comics and graphic novels you may be lucky and find a copy of the now rare first printing still in stock. If you want to start a graphic novel collection with this title or get in on the ground floor of collecting the Lynd Ward Prize books, start searching because there must be at least a few copies still around, maybe! 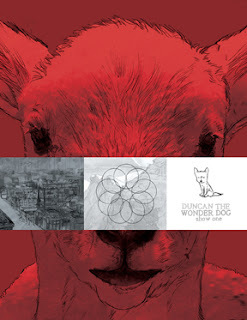 Duncan The Wonder Dog: Show One, is the first release in a planned 9 book series. It will certainly be easy to plan ahead and pre-order books 2-9 as they are announced and that may be a good idea as the creator, Adam Hines, seems to be the real deal. In November 2010 PW published a nice interview with the author that offers insight into his creative process and his technique. Copies of the first printing of Set To Sea, be Drew Weing, 144 pages, ISBN 1606993682, Fantagraphics Books, August 2010 are still available and seem worthy of an order since this is the first honored book in the Lynd Ward Prize. I noticed that Amazon only had 19 copies left when I placed my order this morning and I expect that this too, will become scarce and more expensive within the next few weeks! I do encourage everyone to, at least, visit the free online edition of Duncan The Wonder Dog: Show One as the images display mastery of the graphic novel format and the content is simply amazing. 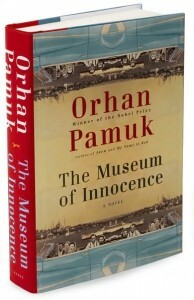 I noticed a video interview with the 2008 Nobel Literature winner, Orhan Pamuk, on BigThink and enjoyed hearing Pamuk talk about the psychology of collecting, the foundation for his recent novel, The Museum of Innocence. Pamuk, in the interview, suggests that once you have four or five related items you have the beginnings of a collection and since I have 4 Pamuk books, I seem to have a Pamuk collection underway and it wouldn't take much to expand it. 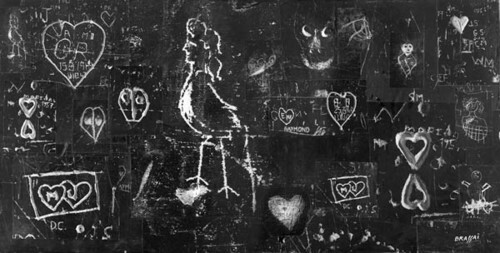 Pamuk's Nobel Prize was awarded for his writings arising from Istanbul, his home town and "....in the quest for the melancholic soul of his native city has discovered new symbols for the clash and interlacing of cultures". I love Istanbul and Turkey and enjoyed two wonderful trips to explore and experience both modern and ancient sites. Istanbul is truly where East and West collide, interact and evolve. In English translation Pamuk does indeed offer deep insight into the people and places of his native land. Establishing a Pamuk collection is fairly easy to do. Since he is a modern author his publications in English translation are available is oeuvre includes 6 novels, one collection of essays, and four works of non-fiction. When building a Pamuk collection acquire the best copy available as condition will determine value over time. Since I first acquired Pamuk to read Pamuk, I have to remember to carefully store the dust jacket when actively reading and to take care during my reading! 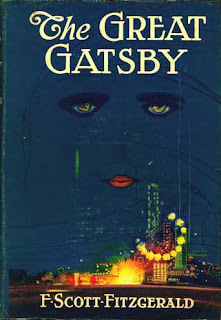 I want to read the four novels I do not own and will probably focus on acquiring those first. If you are simply interested in Pamuk and would like to start slowly, I suggest beginning with his memoir of Istanbul and his novel, My Name is Red. 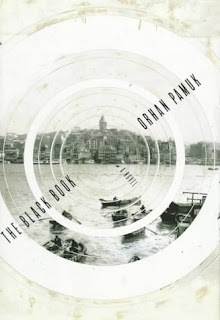 The Black Book, Orham Pamuk, Farrar, Straus & Giroux, New York, 1994 and Faber and Faber, London. 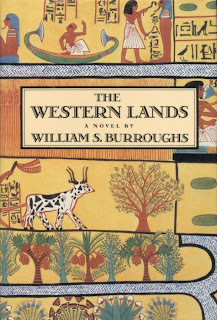 1995, translated from the Turkish by Güneli Gün. 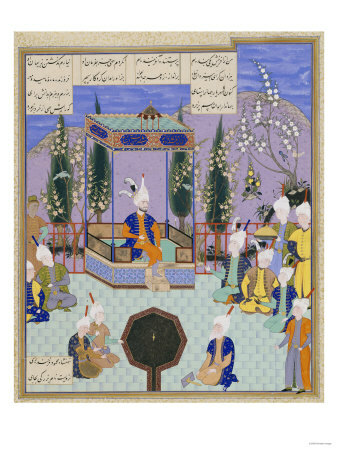 Pamuk's second novel in English translation, there are only 17 copies available with prices ranging from $125 to $750. Pricey but if you can find an individual who simply owns a copy offer them $75 and see what happens. A mystery at heart where everything and everyone one in Istanbul becomes a clue in a lawyer's search for his missing wife. (see review). The Black Book was published in a new translation in 2006 and published by Vintage, New York and Faber and Faber, London, 2006 in paperback. It would be wise to grab a copy as over time this will become more important for any Pamuk collection. The New Life, Orham Pamuk, Farrar, Straus & Giroux, New York, 1997 and Faber and Faber, London. 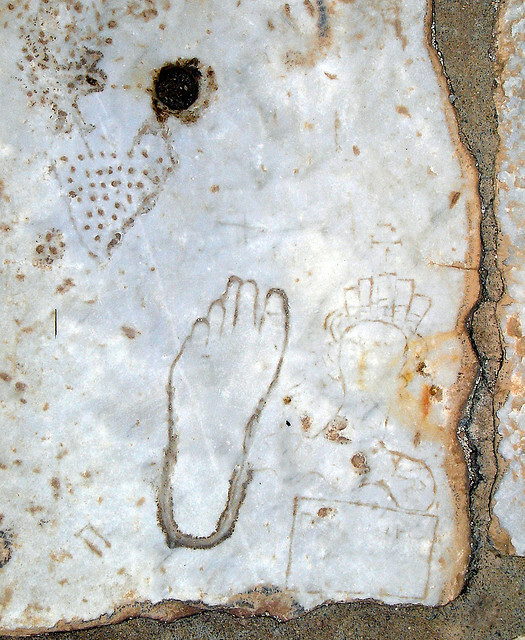 1997, translated from Turkish by Erdağ M. Göknar. There are 29 copies available ranging from $50 to $1000, the $50 copy may not last long! 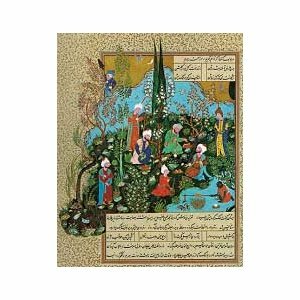 Pamuk's 3rd book translated into English is the story of a magical book that transforms the reader's life. A story of love, the search for happiness and evolving and changing cultural traditions. (PW summary). 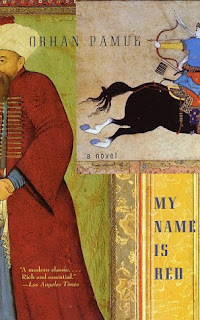 My Name is Red, Orham Pamuk, Alfred Knopf, New York, 2001, translated from the Turkish by Erdağ M. Göknar (Faber and Faber, London, 2001 softcover, first edition, translated by Benim Adım Kırmızı). In this case, target the Knopf edition first since for whatever reason, Faber decided to release the London edition of this widely praised and best selling novel in softcover which over time, will never hold up as well as the original hardcover. 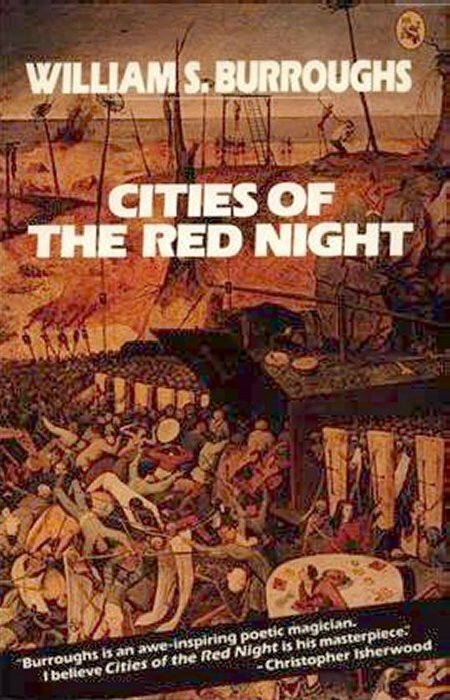 This tale of intrigue, coming modernity and clash of cultures during the early days of the decline of the Ottoman Empire beginning in the 19th century was released during the 9/11 tragedy was my first introduction to Pamuk. 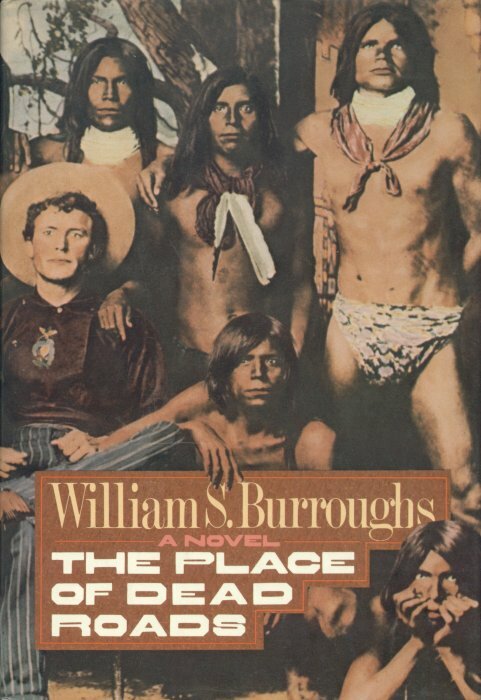 This is a complex novel but well worth the effort to read and understand. (An insightful review from October 2001). Knopf published an Everyman's edition in 2006 which includes an introduction by Pamuk and coincides with his Nobel Prize award. A couple of Pamuk, non-fiction titles follow. 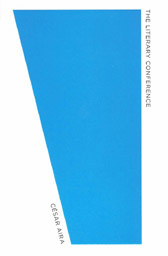 The Naive and Sentimental Novelist, Harvard University Press, Cambridge, MA, 2010 . Based on his Charles Eliot Norton Lectures presented at Harvard University this will become more scarce over time but for now, a few copies for little money are still available. Collecting as many as possible from the list above will form a fine foundation for a collection. If you become very interested in Pamuk there are a few other books in English and, of course, a completist collector would acquire his first editions in the original Turkish! 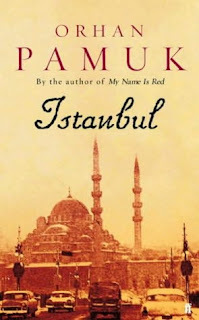 Reading Pamuk is often challenging but well worth the effort especially in this time of turmoil throughout the Middle East becuase Pamuk offers unique insight into the place that is Istanbul, was the center of the Ottoman Empire and will always be a significant part of the Islamic culture whether past, present or future. 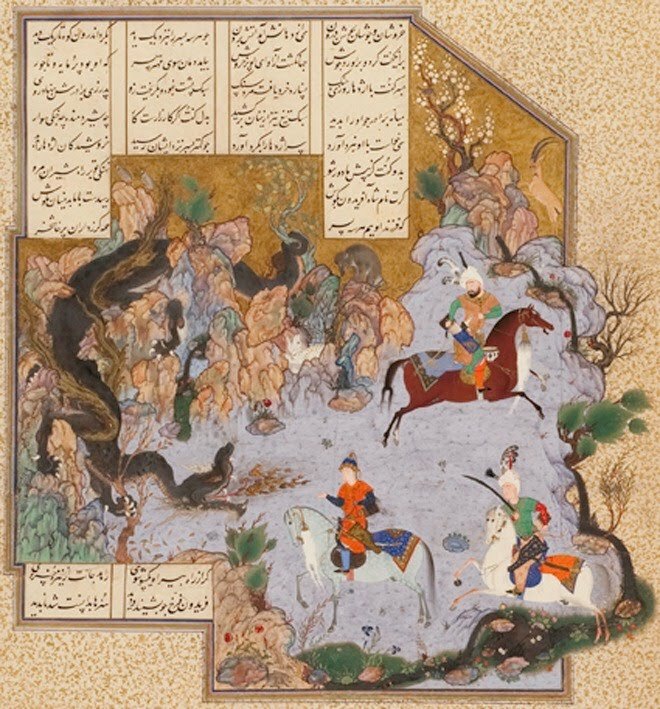 Appraising the value of a book is often an adventure and sometimes very surprising. When less than fully engaged in productive activity I waste time searching for books I'd love to own but know I can't afford. 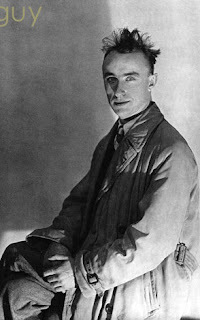 Today, while trying to motivate myself to write, I became distracted after reading a review of a recently published biography of the 20th century artist, Modigliani, and wandered into a search for books involving my favorite surrealist artist of all time, Yves Tanguy. The search results gave me pause! 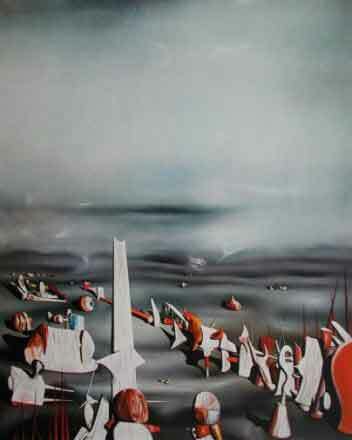 I start such a general search by simply searching for keyword "Yves Tanguy" and rank the list from highest to lowest price. I am always amazed by the high ticket items and after carefully browsing the 1st thirty or so entries beginning at $45,000 I descend to the $3,000 level, where I start to recognize some of my forever wants. There, I see a cluster of copies of Four Poems of the Occult, Yvan Goll, illustrated by Fernand Léger, Pablo Picasso, Yves Tanguy, first English edition, with color border decorations and initials by Malette Dean, hand typeset and printed, The Allen Press, 130 copies printed, 100 for sale to the public, 1962. This is a longstanding want and I check periodically to make certain copies are still available, the price is stable and if there just so happens to be a bargain copy for sale (not yet). Once I confirmed that Four Poems of the Occult is still waiting for me, I return to browsing. Continuing my descent down the list I noticed a book I do own, Yves Tanguy and Surrealism, Edited by Karin Von Maur, with essays by Susan Davidson, Konrad Klapheck, Gordon Onslow Ford, Andreas Schalhorn, and Beate Wolf, 252 pages, 318 illustration, 162 in color, published by Hatje Cantz Publishers, Ostfildern-Ruit, Germany, hardcover with dust jacket, 2001, listed for sale in the $700 range. This is a wonderful book and provides not only a significant catalog of Tanguy's art and complete bibliography of all books associated with Tanguy, but also interesting biographical essays. 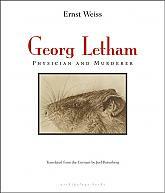 I consider this a must own book and a fine foundation for a Tanguy or surrealism book collection. That book listed at $700 was a surprise and I quickly did a search on just that title and only that one copy was for sale. I decided to check Amazon (see link above), to see if by chance I bought my copy there, which I did, and to see if copies at the original price are still available, they are not. I bought the book new on July 1, 2002 and paid $31.50 plus shipping. Amazon does list three more copies for sale, priced from $600 to $2000! I decided to try searching a larger rare books database which aggregates results from numerous sources and discovered additional copies listed for sale between $600 and $1300. I also learned that the hardcover was actually preceded by a softcover edition to accompany the exhibition celebrating Tanguy's 100th birthday at the Stuttgart Staatsgalerie. The softcover carries a 2000 copyright date and is available for about $35. Via my LibraryThing catalog I know that 14 other members own a copy and via WorldCat, I can deduce that there are approximately 256 copies of the English language edition and 13 copies of the German language edition held by libraries throughout the world. I would guess that the Publisher probably started with a print run of 1000 hardcover copies in German and 5000 hardcover copies in English so this really does not merit categorization as a rare book but it does merit collectible status. It does make sense to me that there are few copies available today since anyone who loves Tanguy would own and cherish a copy. The only reasonable explanation I can offer for the price is simple supply and demand. The available copies are priced to attract a certain buyer who truly needs this book to complete a general surrealism or specifically Tanguy book collection. The pricing seems fundamentally crazy to me, but then again, I simply collect and never sell so pricing is sometimes a mystery. 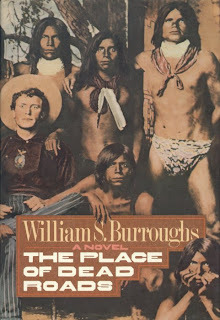 As a book that will live in my collection forever, I appraise the value at $400. It may take 10 years or more for the copies priced $600-$2000 to sell, if they ever do and I bet I could make a $400 offer to any of the sellers and they would agree, so I'll value mine at $400 as a replacement cost valuation. I also bet that this value drops over time as more copies turn up in the rare and collectible book market! Rare and collectible book appraising is more an art than a science and this surprising valuation confirms a general rule of book collecting--collect what you love not what you think will rise in value. I had no idea in 2002 that this $35 investment would appreciate as it has, I simply wanted the book for my library. 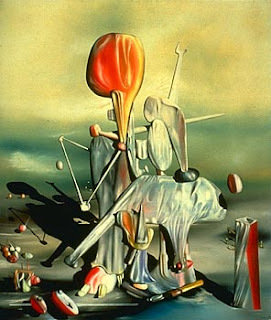 My research on Tanguy and surrealism also alerted me to an annoying situation, I own a copy of Surrealism and the Sacred: Power, Eros, and the Occult in Modern Art, Celia Rabinovitch, Basic Books, New York, 2002, and I can not locate my copy and must now start searching my library because it too, is more expensive now than when I acquired my copy upon publication. I really hate it when I lose track of a book! 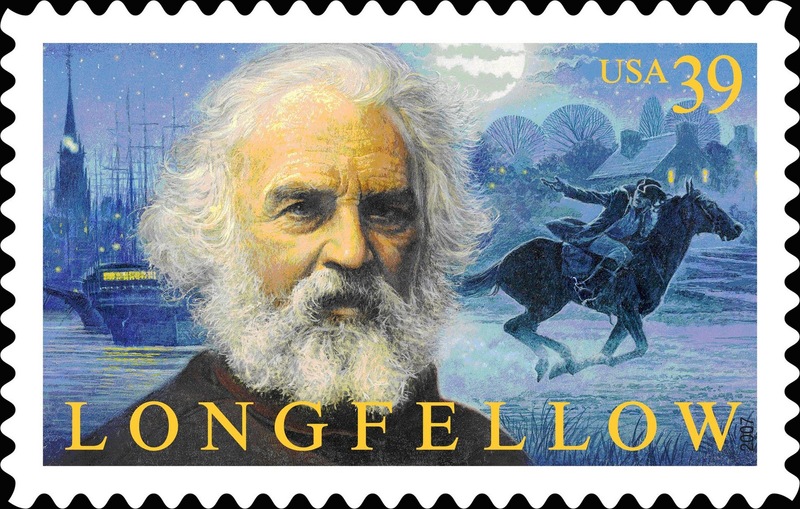 "Listen, my children, and you shall hear/Of the midnight ride of Paul Revere...." is the opening of Henry Wadsworth Longfellow's classic poem of America's call to arms and of the legendary ride, warning that the British are coming. Certainly not accurate history but the poem remains a cherished piece of American cultural history. 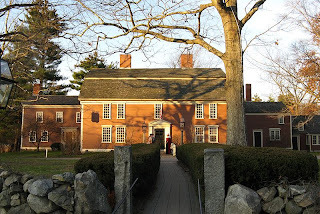 While some may forget about the events of April 19, 1775; the dawn battle at the Old North Bridge in Concord, MA, the shot heard round the world, and the retreat of the British regulars through Lexington towards Boston, Longfellow's poem honoring Paul Revere's legendary ride will forever celebrate the birth of a nation. Historical accuracy aside, if so many learn of ancient Rome through Shakespeare, Longfellow's poem may always remain a simple introduction to the first hours of the American Revolution. 'The Midnight Ride of Paul Revere' (1931) by Grant Wood. Longfellow's poem was originally published on December 18, 1860 in the Boston Evening Herald newspaper followed a few days later with publication in the Atlantic Monthly Magazine and three years later in his famous collection of poems, Tales of A Wayside Inn, Ticknor and Fields, Boston, 1863 (Routledge, Warne and Routledge, London, 1864) as "The Landlord's Tale". There are copies available of both the Ticknor and Fields edition and the Routledge, Warne and Routledge edition (it would be fun to have a British first edition!). 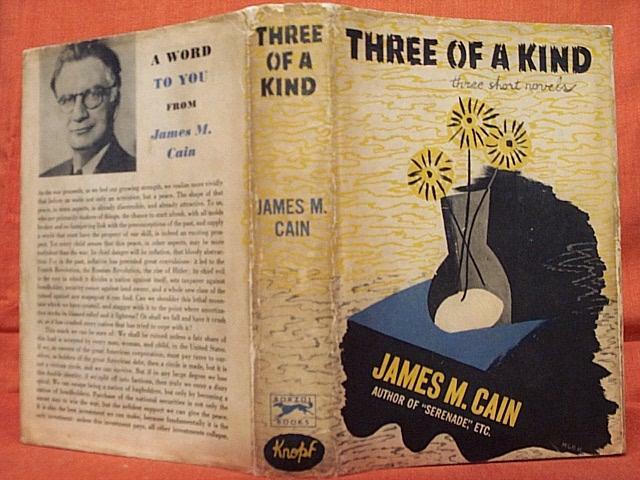 The Ticknor and Fields edition seems to be available in three states. The first state included a publisher's catalog where Tales of A Wayside Inn is listed as forthcoming, without a price. The second state included a publisher's catalog with the title listed in the advertising with a price. 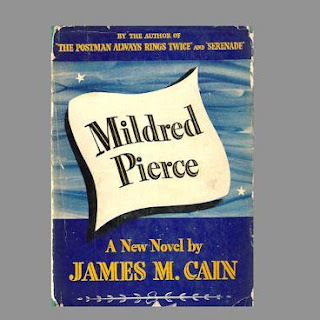 I have seen mention of a first edition without the publisher catalog and I would need to access a few research guides to verify that copies of the first state were actually printed without the catalog. 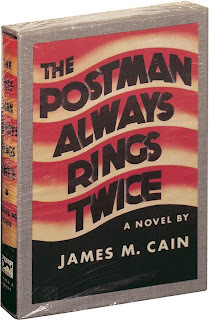 Most available copies are in sad shape as is to be expected for a book that was very popular when published and probably read over and over again. 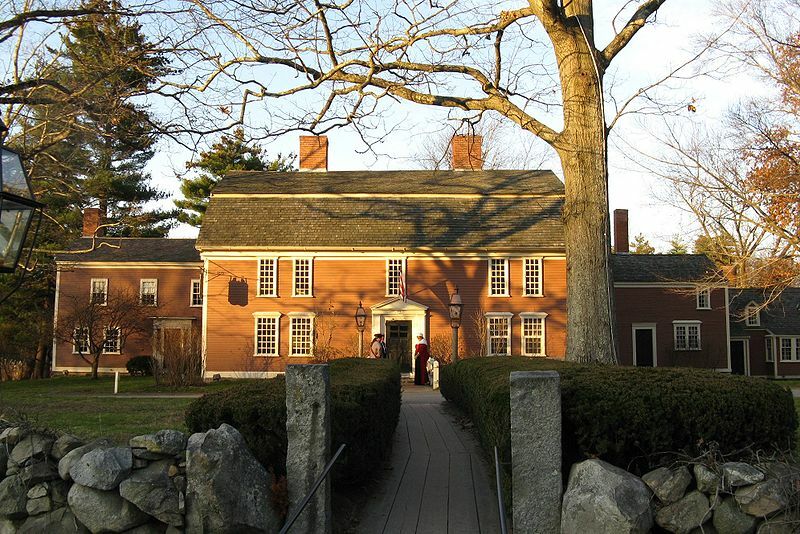 Some copies have been rebound in leather to honor the collection where Longfellow channeled his best Chaucer (and perhaps Rabelais) to offer a set of tales told among a small group of travelers at the Wayside Inn, which still exists today, in Sudbury, Ma. One April 19, 2011 it will be the 150th celebration of Patriot's Day, after the original publication of The Midnight Ride of Paul Revere, and perhaps just the motivation I need to arise well before dawn and trek to the Old North Bridge to honor the birth of our nation! Well, probably not, I've been meaning to do so for near on 16 years since I moved to Stow, MA where in 1775, the Stow Minutemen reacting to the general alarm, mustered in the dead of night and left for Concord around 4AM. Perhaps, this year, I'll simply go about what I do best, acquiring a copy of the newspaper issue, The Atlantic Monthly issue and the first edition of Tales of A Wayside Inn. 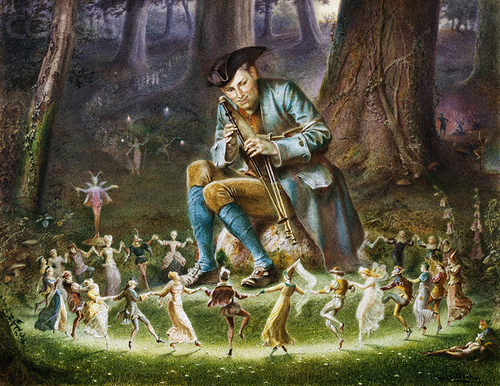 If all are Irish on March 17, St. Patrick's Day, then all should own a copy of Irish Fairy and Folk Tales, selected and edited by W. B. Yeats. 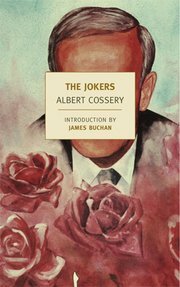 I was surprised today while browsing a list of 5 books to help celebrate St. Patrick's Day with a link to a previously published 10 book list that there was no mention of this Yeats classic. Ireland has a rich and diverse literary tradition but in my opinion, any serious reader of Irish literature must first become familiar with Irish myth and legend. W.B. Yeats was awarded the Nobel Prize for Literature in 1923 honoring his dramatic works and poetry. 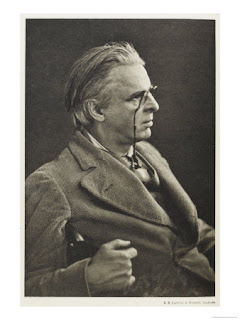 A co-founder of the Irish National Theatre which later became the Abbey Theatre and remains Ireland's national theatre company, Yeats served as head playwright and many of his plays involved Irish mythology and legend. 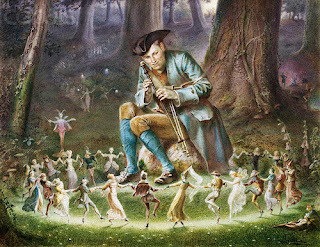 Yeats was a prolific author but his first book, published in 1888 was Fairy and Folk Tales of the Irish Peasantry, Walter Scott, Ltd., London which was then reprinted with the title Irish Fairy And Folk Tales in 1893. 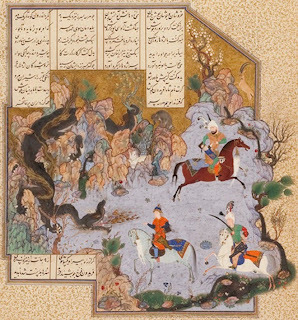 Acquiring a copy of the first edition, first printing is possible but requires careful research. Allan Wade in his A Bibliography of the Writings of W. B. Yeats, Rupert Hart-Davis, London, 1951 indicates that the there were 4 variant bindings of the first printing so careful research must be done to guarantee that what you order is actually a known first edition, first printing if that is your goal! Surprisingly a first edition printing of the 1888 edition remains reasonably priced, $200-$400 for a decent copy, but scarce and there seems to be no copies of the 1893 edition available. Numerous editions have been published since then and the collection remains the best introduction to Irish legend and lore. I acquired The Folio Society illustrated edition published in 2007, Irish Fairy and Folk Tales, Selected and edited, with an introduction by W. B. Yeats, Foreword by Paul Muldoon, illustrations by Linda Farquharson, and am very happy with this edition.